This is quite exciting news late in the day (literally). 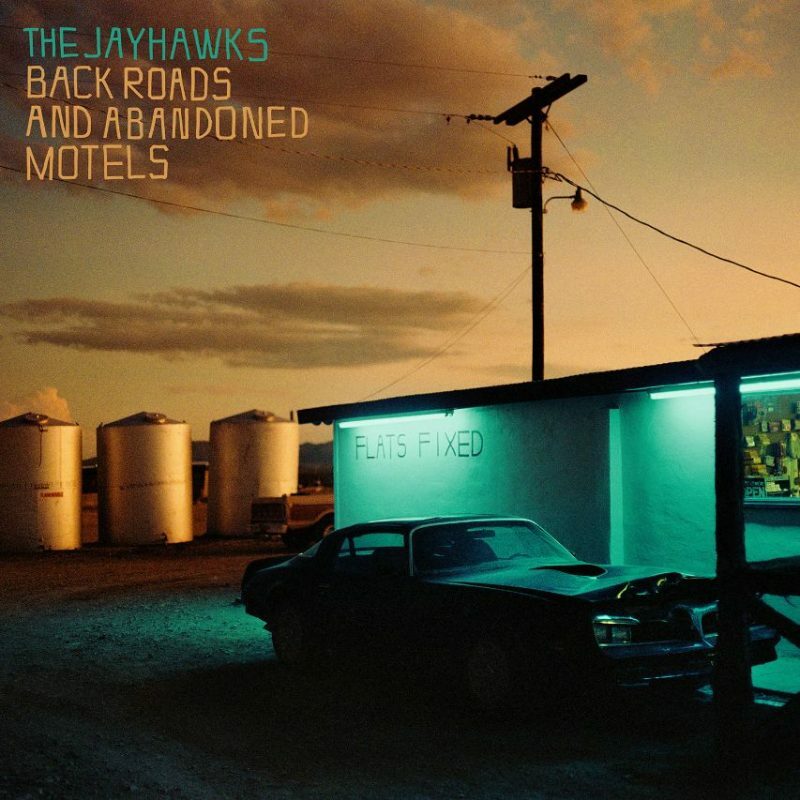 The Jayhawks have announced the release of a new album, ‘Back Roads and Abandoned Motels’, which arrives in the UK on July 13th (which is a Friday, lucky for some). The album features 11 tracks written by Gary Louris, most of them in collaboration with a whole array of stars including Dixie Chicks, Jakob Dylan, Emerson Hart (of Tonic), Ari Hest, Scott Thomas and Carrie Rodriguez. The album’s setlist of songs co-written by Louris includes “Come Cryin’ to Me” (originally released on Natalie Maines’ Mother in 2013); “Everybody Knows” and “Bitter End” (released on Dixie Chicks’Taking The Long Way in 2006); “Gonna Be a Darkness” (written and performed by Louris and Jakob Dylan for True Blood: Music From The HBO Original Series – Volume 3 in 2011); “Need You Tonight” (originally released on Scott Thomas’ Matson Tweed in 2015); “El Dorado” (originally released on Carrie Rodriguez’ She Ain’t Me in 2008); “Bird Never Flies” (originally released on Ari Hest’s The Break-In in 2007); “Backwards Women” (written with Wild Feathers but never recorded) and “Long Time Ago” (written with Emerson Hart of Tonic but never recorded). The record also debuts two of Gary’s latest songs, “Carry You To Safety” and “Leaving Detroit.” Review coming up on AUK soon. In the meantime here’s the cover-art and track listing, and you can listen to their revisitation of “Everybody Knows” too.